To be positioned in executive decision making, preferably in Information Technology field where my creative, initiative ideas and the genuine enthusiasm would allow me to progress. 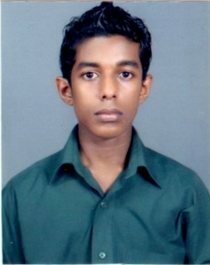 I am a self- motivated person with positive attitudes and have good communication skills in English and Sinhala. Have the ability to work in a team and handling responsibilities. I am introducing myself as an Undergraduate and a NIBM Higher Diploma (2009 / 2010) holder as you can see in the enclosed resume. I have a strong academic background in Programming (.NET, C++, Java, C, Android), DBMS and Software developing. I am a keen learner and am always willing to do extra work when necessary to make sure that work is completed with high level of quality. Further, I am confident that the combination of my practical experience and education has prepared me for making an immediate contribution to the fields of programming, Software development, Database designing and implementing. I understand the level of professionalism and the technical skills required for the above fields. I believe that my background into academic knowledge and experience in projects will provide a highly productive and innovative employee upon your vision and make a significant and valuable contribution to your organization. Currently, I have covered all the theory topics in my degree programme, submitted the project for the evaluation and waiting for viva and final marks. However in the meantime if you should require any further information or need to seek any clarification, please do not hesitate to contact me. Thanking you for consideration and look forward to your reply.